New Paranormal Web Series Asks "Are You Haunted?" If you're a fan of paranormal television, then you'll probably know the name Phil Whyman. The Nottingham-born paranormal investigator appeared alongside Yvette Fielding in several of the early series of 'Most Haunted' as well as some of the more recent Live shows. But it seems that Phil isn't the only paranormal expert in the Whyman household, Phil's wife Sara is the brains behind a new paranormal web series that promises viewers a back-to-basics approach to ghost hunting. Of course, Sara has brought her husband along for the ride. Phil's love of the paranormal has remained, in the last ten years he's published a book on the paranormal and launched his own Ghost Hunting Company. Now, alongside his wife Sara, Phil is putting his paranormal investigation skills to use in a new online ghost hunting series. Between them they have investigated countless locations in their search for proof of the paranormal. 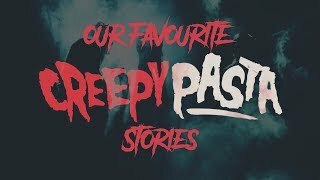 The ten-part series, which is available on Facebook and YouTube is a mix of fly-on-the-wall documentary and paranormal reality show and promises real scares, banter, arguments, and light-hearted moments. Phil and Sara are joined by a team of experienced investigators, made up of Jane Carrigan, Tim Wagstaff, Dale Dickinson and Ben Woodward, who at the start of each episode come together to pick the most interesting cases they they've each received before embarking on their investigation in an attempt to uncover what might be lurking in the shadows. While on location at the haunted properties scattered across the UK, the team conduct their research in a back-to-basics style, relying on their own senses rather than elaborate ghost hunting gadgets. Fans of the show seem to love this approach. According to a recent poll posted on the show's Facebook page, 74% prefer the back-to-basics method of paranormal investigation over the use of "gadgets and equipment". In order to conduct investigations in this way, the team have ruled out many common pieces of paranormal investigation kit, including electronic gadgets and supposed communication methods like Ouija boards, glass divination, spirit boxes and table tipping. In the show's first episode, which premiered on Facebook in December, the team investigated the Mother Shipton Inn, a haunted pub in Knaresborough, North Yorkshire. The 16th century coaching inn, located in the heart of the historic town, has a long history of paranormal activity with multiple witnesses experiencing phenomenon including unexplained figures, objects moving and items being thrown. In the second episode of the series the team tackle New Mills Art Theatre in Derbyshire. A historic performance venue built in 1911, which is said to be plagued by numerous unexplained incidents. Multiple witnesses have reported seeing paranormal activity which includes the sound of disembodied footsteps, voices and whistling, as well as sightings of shadow people and ghostly figures. In the third episode the team investigate a former workhouse in Doncaster, which dates back to the mid-19th century. The building is said to be haunted by paranormal activity ranging from the sound of footsteps and unexplained voices, through to objects moving on their own and even sightings of shadow people and a male apparition. In the fifth episode of Are You Haunted, the team pick Dale's location to investigate and head off to the the Haunted Antiques Paranormal Research Centre in Hinckley. The Leicestershire location is home to a large collection of supposedly haunted antiques, including possessed dolls, wheelchairs with a life of their own and creepy clown toys. The building is said to be plagued by paranormal activity that includes strange sound, items in the collection moving on their own and figures being seen moving throughout the building. 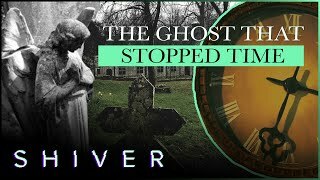 In the sixth episode of Phil and Sara Whyman's new paranormal series, the team investigate Bishop's Manor in Howden, East Yorkshire. A 700 year old property with reports of ghostly apparitions and unexplained noises.